An invitation to help yourself to 12 free ebooks between now and the end of February, including one of mine! If you like reading ebooks, read on to find out how to take advantage of a special offer that includes a free download of one of my collections of short stories, Marry in Haste. If you don’t like reading ebooks, or haven’t tried them yet, here’s a chance to convince yourself, without it costing you a penny! In case you didn’t know, these days you don’t have to own an ereader to read an ebook – you can download to your phone, tablet or computer a free reading app such as Kindle or Kobo, and away you go! A couple of days ago, I was very pleased to be invited to join a group of eleven sparky women authors in a joint promotion of free books called “Free Reads for Smart Women“. Always a sucker for flattery, I was very happy to add my name under this banner, which, in classic Freudian slip mode, I had misread as Free Reads BY Smart Women”. Of course, both interpretations apply – because what smart woman could resist the offer of twelve ebooks for free, when they look as intriguing and beautiful as this? There’s a bit of everything here to appeal to smart women of all kinds, from crime thrillers to romance, from historical novels to contemporary humour. The closest thing you’ll find to a catch is that to get your free books, you have to submit your email address. Obviously, that’s so that InstaFreebie, the service that’s hosting this promotion, can email the ebooks to you. 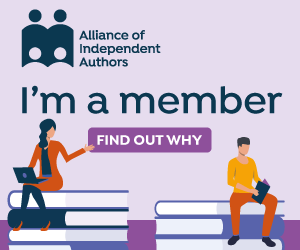 Also the authors would like to send you information about more of their books – but don’t worry, you can unsubscribe from their mailing lists at any time, no questions asked. InstaFreebie would also like to send you more free book offers, if you’d like them – but again, just unsubscribe if you prefer. By the way, you don’t have to be a woman to enjoy any of these books. In fact, one of my favourite reviews of Marry in Haste is by a gentleman who described it as “A book for women that all men should read”! It’s a landing page hosted on Helena Halme’s website, and you just click on the book cover of your choice to claim your free download. You can revisit the page and keep clicking for more as often as you like – and if you’d like to share the page or this post with your friends to help them do the same, please do. Why Are the Books Free? By the way, if you’re wondering why the twelve authors involved are not only smart but so generous – all the books being offered are still on sale commercially elsewhere – it’s because it’s every author’s wish to build up a mailing list of people who are interested in their books, so that we can email readers directly whenever we’ve got a new book about to launch or a special offer coming up. This campaign is coming at the perfect time for me, as I prepare to launch my first Sophie Sayers Village Mystery in April, and I’ll be sending to my mailing list details of a special launch price offer in March. Exciting times! If you’d like receive news of that offer without getting involved in the InstaFreebie promotion, that’s fine too – you can sign up here. It won’t get you a free book, but you will have the option to receive a free short story, The Alchemy of Chocolate, as a thank-you.